Please save the date and plan to join us for our winter forum on December 8th at the Water Resource Center in Vancouver where we will discover how the lighting industry is evolving and why that matters to each of us as energy managers, product representatives, engineers, and owners. 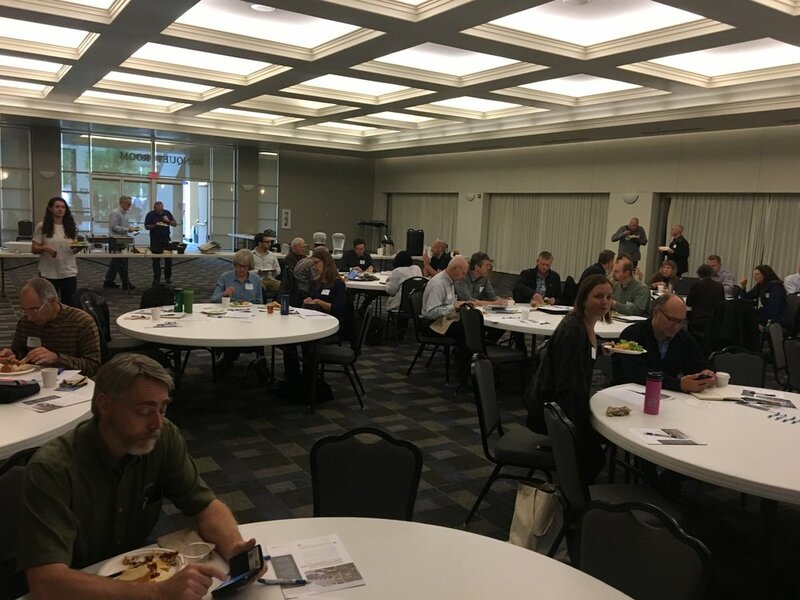 Vinh spoke about the changes in building energy performance in the Portland-area over the past decades, and what economic, political and social events initiated those changes. Portland has a “Legacy of Leadership” that started back in the 60s to provide positive changes for the City, including air quality, public open spaces, etc, which led to social responsibility in the community, which now includes solar panels on homes, and carbon reduction strategy for commercial buildings. 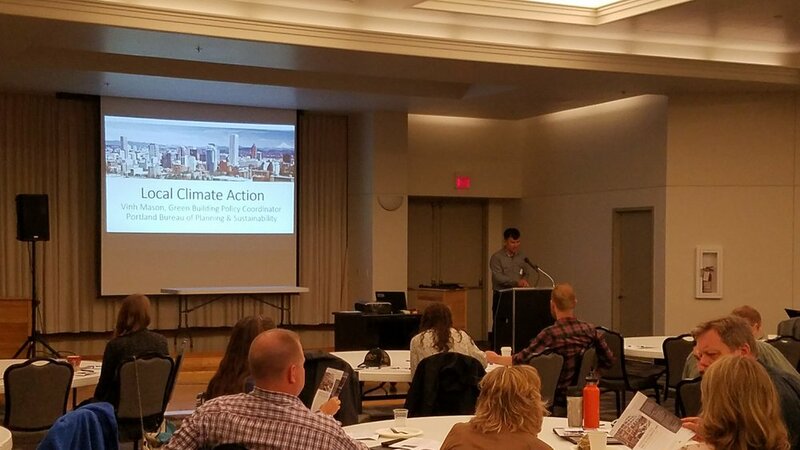 The City of Portland has three objectives: Reduce total energy use of all buildings before 2030 by 25%; Achieve zero-net carbon emissions in all; Supply 50% of energy used in buildings by renewable energy sources. City uses EPA’s Energy Star reporting to measure performance of all commercial businesses in the City, 50k SF–20k SF. To date, close to 90% compliance—almost 1,000 bldgs reported. The free onlineDOE Asset Score tool used in concert with Energy Star can inform more specifically where opportunities in your buildings may lie by helping energy managers to target improvement areas. Later this year the City will be mapping the info so users can see it graphically on its now-downloadable online report. Fun fact: Portland buildings built in the 1910s-1920s are now performing better than most buildings constructed afterward. Clean Air Rule, under State Department of Ecology’s Clean Air Act, means that any organizations responsible for CO2 are required to cap output and ramp down emissions 30% over 18 years (=1.7%/yr, measured each 3 years). This includes targeted industries: natural gas procurers, petroleum product producers, refineries, metal and cement producers, pulp makers, power plants, and waste facilities. Though not in play right now, DR, DSG, EE and storage are all opportunities to help meet this rule. 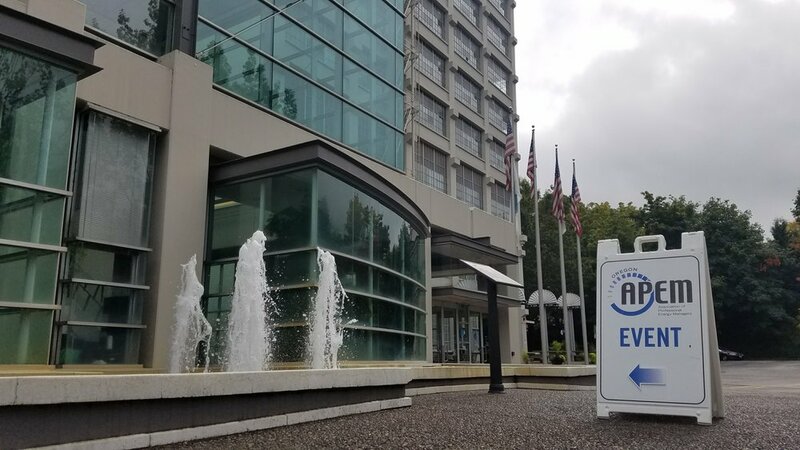 Washington’s Clean Air Rule is meeting challenges right now with lawsuits and arguments against its authority, and with WA state’s history of not passing past carbon taxes. The rate of industry change also stretches Clark PUD’s ability to react. Clark PUD’s Residential Community Solar program has been a surprisingly successful offering—so successful in fact, that the State had to rein in incentives for applicants, which now endangers the future of the program. 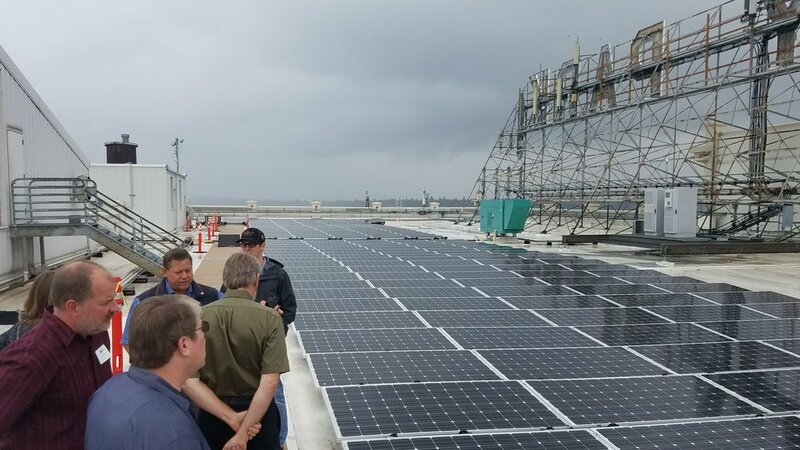 The initial program included installing 75kW arrays, and selling investment portions of each panel to customers. Installed panel cost was $1,200ea—too pricey for any individual, so CPUD broke each investment up into (12) $100 “units.” A participant could purchase as many units as they wish and pay up-front or amortized over time. 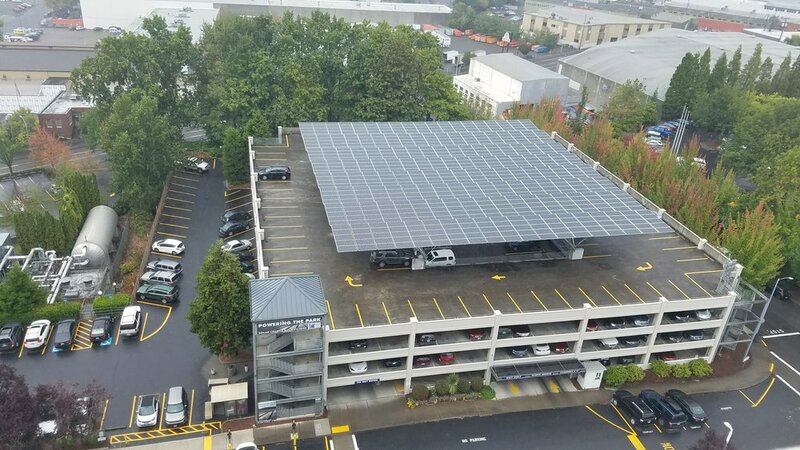 Washington State offered a participant incentive of $1.08 per kW (with $5,000 cap), which appears as a retail-rate credit on the bill. Return on investment for participants (state incentive + energy credit) was almost 200% through 2035. 1st project sold out in 7 hrs; 2nd project sold out in 3 days; 3rd project in 10 days; 4th project in 23 days. Now has waiting list for project 5. The incentive has now been capped at 50%, which means that going forward participants will recuperate 90% of their cost. Clark started that program with team members Bonneville Environmental Foundation, NW SEED, and inter-departmental stakeholders. Amy Nagy and Shelly, Prosper Portland (formerly PDC) -- Property Fit. Property Fit provides financing for energy renovations and new construction. Prove what strategies you plan to use, and Property Fit will help reduce the property manager’s up front capital. Helps close tough projects and add scope to existing projects. Roger Ebbage, Director Energy Management, Lane Community College. 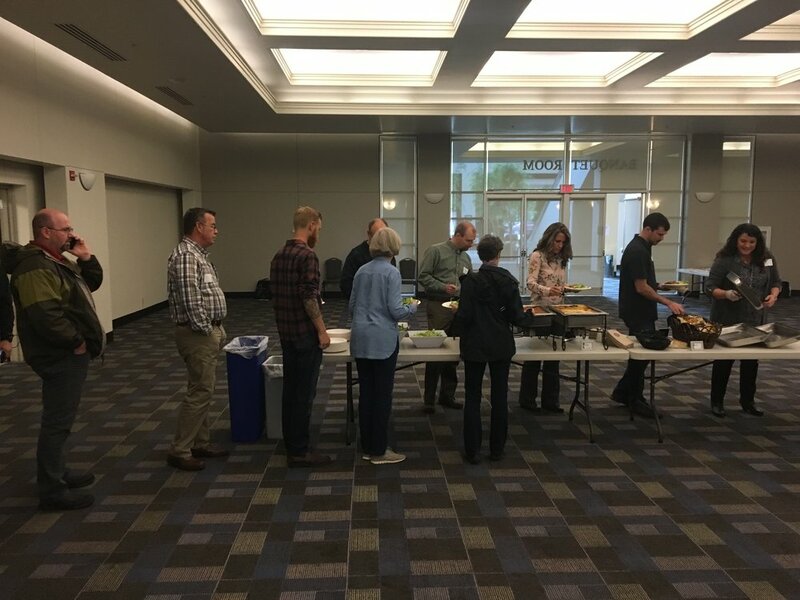 A long-time energy efficiency program proponent, and director of the energy management program at Lane College, Roger has trained many in our professional community to learn the trade and find meaningful work. In addition to teaching, he champions a CEM program for post-certificate training. Right now the Controls sector is the fastest growing, and Lane is now certifying technicians to expand their knowledge. 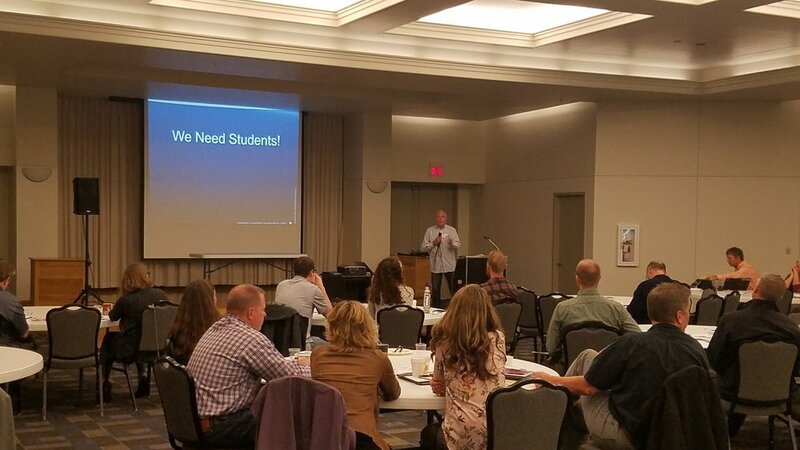 However, enrollment is foundering: if more students do not show interest in the class, it will go away, which could have a detrimental effect for professionals in our industry as no new technicians will be trained and introduced into the field. This could affect all of us. Roger made a plea to endorse the program to improve enrollment and ensure upcoming professionals. Cost of solar installation has dropped 65% over the past decade. Number of proposed solar projects could reach 10MW this year, up from almost nothing in 2007. Gov’t incentives: though RETC has gone away (for now), the ETO, Federal, and special groups’ programs still exist. Increasing new technology: solar + storage. Please join us on St. Patrick’s Day for a journey into the rapidly evolving world of the Internet of Things (IoT) where we will attempt to wrap our heads around the subject and get a glimpse into its effect on our future. How much will this IoT journey benefit our lives and how much may it hurt? The keynote speaker, Massoud Jourabchi, Northwest Power Council’s manager of economic analysis, will be on hand to help start untangling the what, when, where, why, and how of IoT and provide perspective on what 20 billion connected devices by the year 2020 might look like. We then will be diving a bit deeper into IoT technology, where it will live (everywhere perhaps), and how it will change the energy efficiency game. We will be discussing IoT in building systems - lighting, HVAC and building control systems – down to plug-in devices all controlled from apps that will define a new generation of ‘smart’ residential and commercial living. Finally, we will be discussing the downside of IoT and major concerns from privacy to security.Are you prepared to be more connected than anyone thought possible just 5 years ago? Maybe we should just ask Alexa or Siri? We certainly know it will be an interesting journey and perhaps even a wild ride!